Even after updating, there are many bugs and issues in iOS 12. One of the most annoying problems is the system storage bug. In this bug, iOS 12 uses relatively more storage than the previous versions. The storage usage grows too fast and without any particular reason, which can be really annoying. Virtually all iPhone models such as iPhone 6S, iPhone 7/7 Plus, iPhone 8/8 Plus, iPhone X, etc. are reported with this issue. You need sufficient storage space to perform everyday tasks on your iPhone, that’s why resolving this issue quickly is highly recommended. Fortunately, there are many solutions available. iMyFone Umate Pro for Win or for Mac is one of the best tools when it comes to freeing up space from an iDevice running iOS 12. Umate Pro is a professional data erasing software designed for iDevices. It is equipped with advanced features that allow you to erase any kind of data from your iDevice permanently. Furthermore, its 1-Click Free Up Space mode is specially designed to help iOS users free up unnecessary space so that their iDevices can run faster. You will need to use this mode of Umate Pro to free up space from iOS 12 system storage bug. Free up space quickly via 1-Click Free Up Space mode. It also boosts an iDevice’s performance significantly. Erase any type of data from your iDevice permanently and with ease. Permanently erase your private data including photos, notes, music, videos, call logs, messages, contacts, etc. via Erase Private Data mode. You can also permanently erase files that you have already deleted from your iDevice. The Erase Deleted Files mode is extremely helpful when it comes to protecting your privacy. Step 1: Use a compatible lightning or USB cable to connect your iDevice to your computer. Step 2: Launch Umate Pro and select 1-Click Free Up Space mode from the software’s home screen. Step 3: Now click on the Quick Scan button shown on the next screen. Umate Pro will scan your iDevice and provide a list of results on the next screen. Step 4: From the list of different types of data, use the Clean button in front of each data type to quickly erase it and free up space. 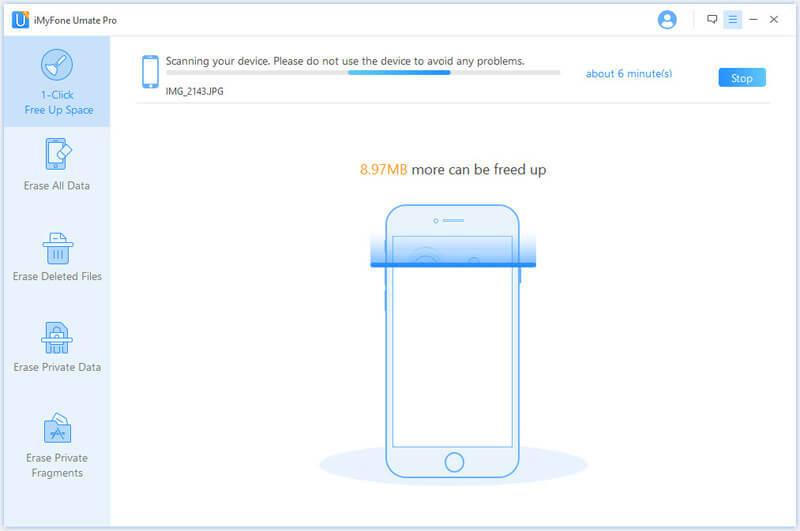 Restarting the device is a simple yet effective solution to fix high iPhone storage usage. A restart cleans up RAM and also clears cache and other data which as a result speeds up the device and also frees up unnecessary space. Step 1: Press the Top button of your iDevice and hold it until you see a slider on the screen. Step 2: Now drag the slider. Your iDevice will power off. Step 3: After it is completely powered off, use the same Top button again to power on the device. Note: Restarting method varies depending on the iDevice model. If you send and receive a lot of messages on your iDevice, then it will take up a lot of space over time. So, it is recommended that you set your iDevice to delete the read messages automatically. Step 1: On your iDevice, open the Settings app. Step 2: Navigate to Messages > Keep Messages. Step 3: Now follow the on-screen instructions to set the keep messages duration to 30 days. This is a useful feature of iOS 12 which deletes unused apps from your iDevice automatically. You should use this feature if you are running out of storage. It will free up plenty of storage space. 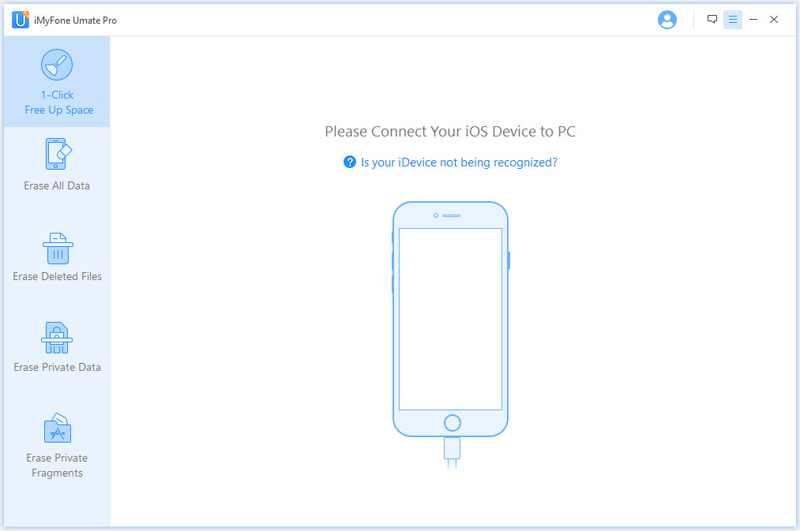 Step 1: Open Settings app on your iDevice. Step 2: Navigate to iTunes & App Store. Step 3: Now switch the toggle in front of the option called Offload Unused Apps. Safari cache can take up a lot of space, particularly if you browse the web a lot. Deleting Safari cache will free up space quickly. Step 2: Navigate to Safari and then select Clear History and Website Data option. iOS 12 system storage bug can be really annoying but fortunately there are ways to deal with the issue. 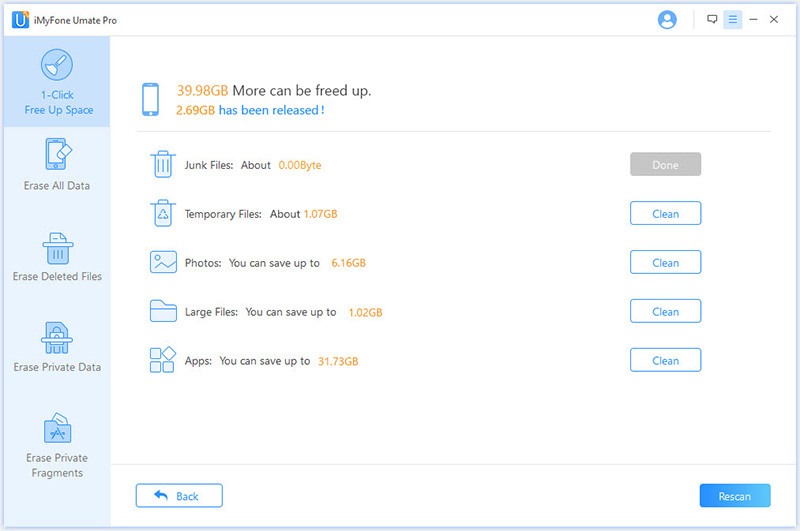 To quickly free up storage on your iDevice, it is recommended that you use 1-Click Free Up Space mode of iMyFone Umate Pro. If it doesn’t solve the problem, then try the other manual solutions listed in this article.